We are partners with BigCommerce, one of the worlds most popular e-commerce solutions providers. The BigCommerce ecommerce website builder will give your customers a highly professional and well-designed shopping experience at your online shop. • Refunds and in store credits. • Custom checkout form fields. • Delivery and event dates. • Agree to terms before ordering. • Add multiple items to cart. • Creation of order shipments. • One click re order feature. BigCommerce's inbuilt organic SEO features such as page titles, meta descriptions, meta keywords, customisable URLs, image descriptions and SEO optimized themes will give you higher search rankings which means more business coming to your online store. BigCommerce comes with social media integration, newsletters, automatically generated customer lists, discount and coupon codes and abandoned cart saver functionality. With over one hundred themes, no matter what your business type is, you'lll find a website template that will impress your customers. Publish and sell your products concurrently on your online store AND, at the same time, on eBay, in Facebook, on Pricegrabber and Shopzilla. 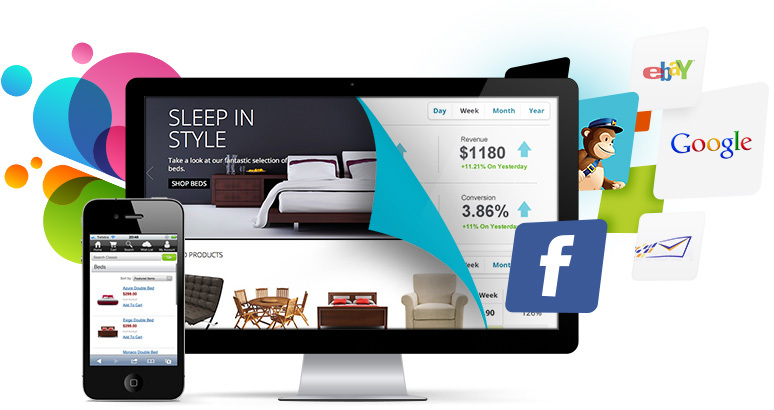 Make your Bigcommerce store's products available simultaneously wherever your customers are. BigCommerce's integrated online payment platform supports over sixty payment gateways such as PayPal, Moneybookers, Authorize.net and Google Checkout etc. Unlike many e-commerce application providers, BigCommerce provides you with full flexibility on the management of your products and products options with unlimited and customisable choices to product both and stock tools. This means that you can, for example, have as many options for your products that you require, in terms of size, colour, and shape, with each product option having its own each with its own SKU, price, weight, image and stock levels. As your business grows, and you sell more, you will still only have to pay a monthly subscription. There are absolutely no transaction fees! All Bigcommerce stores are PCI compliant, with the data centre having hacker deterrent security provisioning, three redundant network architectures and hardware firewalls. With 99.99% up time your online store is always ready to take orders. Bigcommerce will automatically recommend products that corresponds with your customers' shopping products, which in turn leads to increased up selling. 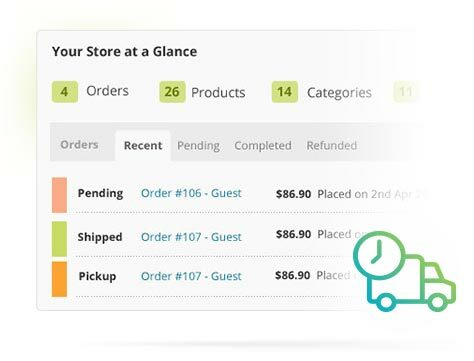 • From the control panel you can instantly review which orders have been shipped, which are waiting for payment, or which ones are waiting to be dispatched. • And when the goods are ready to be dispatched you can process them separately, or in bulk, by printing invoices and packing slips. • And if you are using dropship then you can easily add in application such Ordoro or Doba. With BigCommerce you can easily view all of your inventory at product and product option level, set low inventory levels. i.e. 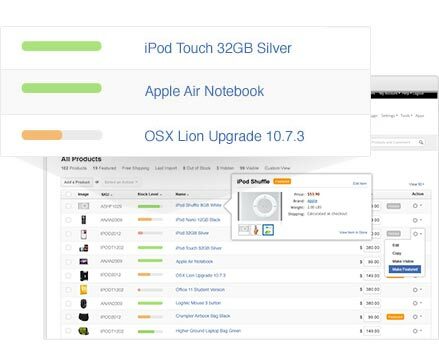 The point at which you need to reorder individual products, automatically stop a customer purchasing product when no is stock available and easily manage bulk update stock levels. With BigCommerce you can offer refunds, replacements, credits, stop returns or even use the permission based system to assign return merchandise authorization to your staff and at the same time include return reasons and actions codes. 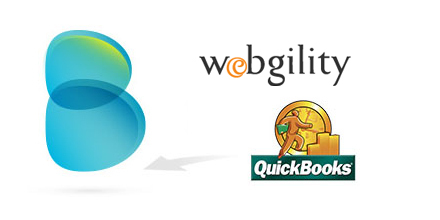 BigCommerce integrates with all editions of QuickBooks which means that you will significantly reduce manual data entry, reduce your order processing time and decrease accounting issues. 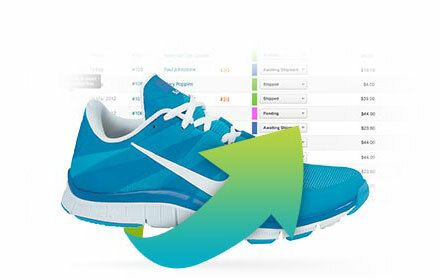 Quicker To Market Which Means That Your Online Store Is Selling And Performing More Quickly. With Mangoho's pre sales and implementation services, in conjunction with the BigCommerce platform features and training videos, your online store is easy to set up quickly. 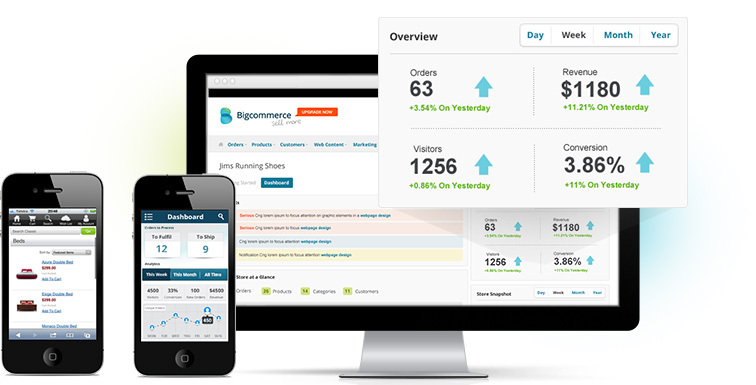 With a massive number of built in marketing, ordering and inventory features, BigCommerce allows you to easily sell through more sales channels using as eBay, Facebook, Pricegrabber and Shopzilla integration, mobile shopping optimization for your online store, the creation and exporting of ads for both the Google and Yahoo! search engines and a Google website optimizer that analyses your online store to establish what will bring customers to your products. Security is BigCommerce's number one priority and your online store is protected with hardware firewalls, denial of service protection, a network intrusion detection system, and complete disaster and recovery support all of which means a 99.99% average up time.